Since the So Cal weather permitted me, I went for it! 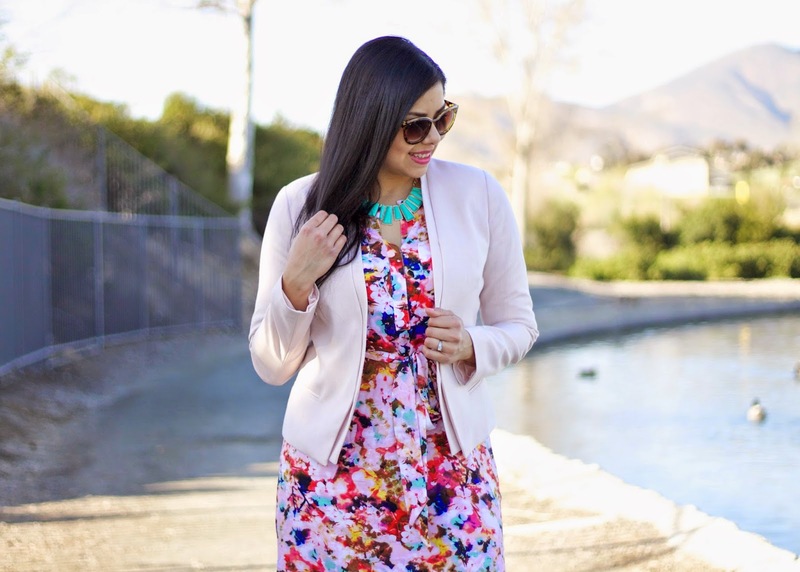 I couldn't stay away from the full bloom happening on this flower-filled dress to attend the 1st annual Latina Bloggers Connect #WeAllGrow Summit (full recap coming soon). 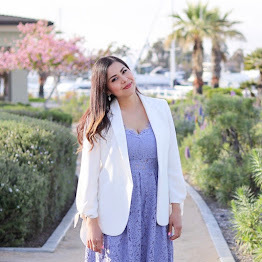 The colors and the pattern made me feel bright and cheery with a little touch of professionalism which was needed to network with fellow bloggers and sponsors. Typically when I'm getting ready for a blogger conference, I run to my go-to stores to get some pieces that will make a good impression. Two days before the conference, I parked next to JCPenney to go into the mall through their entrance and ended up staying in there the majority of the time because their "door buster" deals caught me like a net catches a fish! I was like a kid in a Spring fashion candy store! Love the look, pretty dress! Beautifully feminine look! I love the fun, vibrant colors. You have great taste in eyewear. Thanks for sharing and have an awesome day. Such a pretty look! 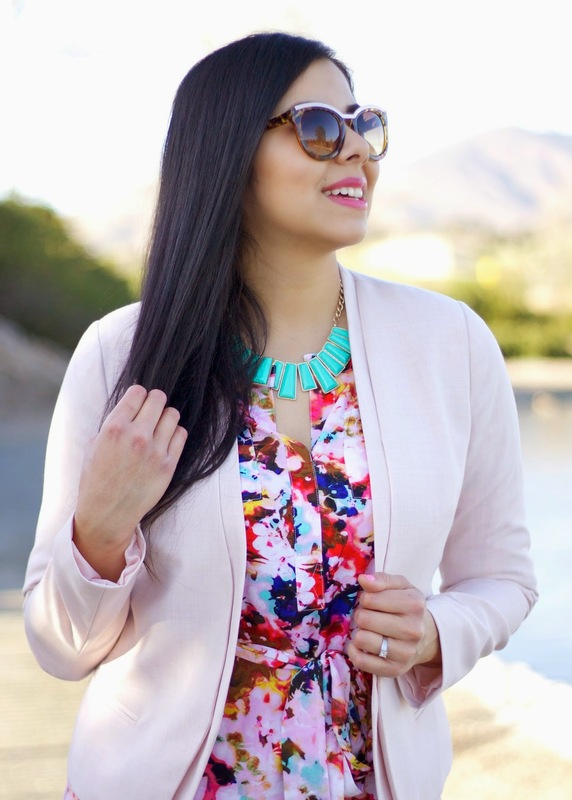 The dress is gorgeous on you - I love the bright floral print, and the statement necklace goes so well. I love the print of this dress and how you styled it with neutrals, very chic.